Wedding favours are a nice touch to add to your wedding reception, and they’re something most people will appreciate. There’s nothing better than leaving the Melbourne wedding venue with a snazzy tote bag in hand! But what can you give your guests as a wedding favour? How about some of these awesome edible wedding favours? Alfajores — All the way from Argentina, these delightful favours are the South American version of American “Moon Pies”. Cookies stuffed with caramel or ‘dulce de leche’ and coated with coconut or chocolate, it makes for an exotic favour that everyone will love. Creamy Chocolate Rolls –– This delicious little desert makes for a wonderfully decadent favour to give to your guests. French-style rolls are filled with dark chocolate and walnuts, but you can go for a mocha, mousse, hazelnut, marzipan, or even rum centre. Talk about delight! Fudge –– If you’ve never had a good block of fudge, you’ve never lived! Giving your guests the present of fudge is GUARANTEED to send them off with a smile on their face, and they’ll remember your wedding for days to come as they enjoy their wedding favour. Fortune Cookies –– Write a thank-you note to each of the guests and stick it into a fortune cookie, and send your guests away with a cute reminder of your wedding. You can make the cookies as simple or elaborate as you want, but it will definitely be a wedding favour your guests will love. 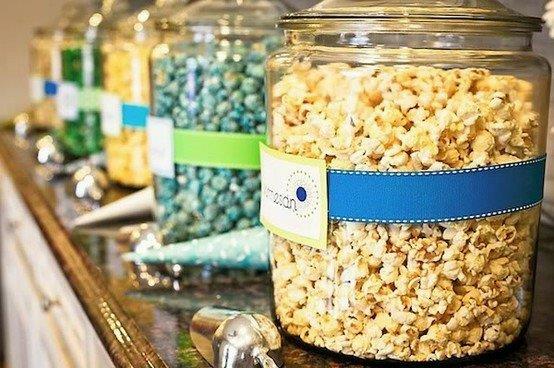 Candy Popcorn — Candy popcorn is so much more than the stuff you can buy at the cinema. The popcorn kernels are coated with a thick layer of caramel or chocolate, or one of many other flavours. Plus, bits of chocolate, caramel, and cookie can be mixed in to make one heck of a delicious wedding favour! Chocolate Bark –– Chocolate bark is essentially a thin layer of chocolate melted over nuts, seeds, and other delicious natural ingredients. You’ll find that a few squares of this bark will go over wonderfully with your guests, and it can be an all-natural, organic gift to give your friends! Hot Sauce –– Instead of going the route of sweet, it’s time to spice things up a bit! 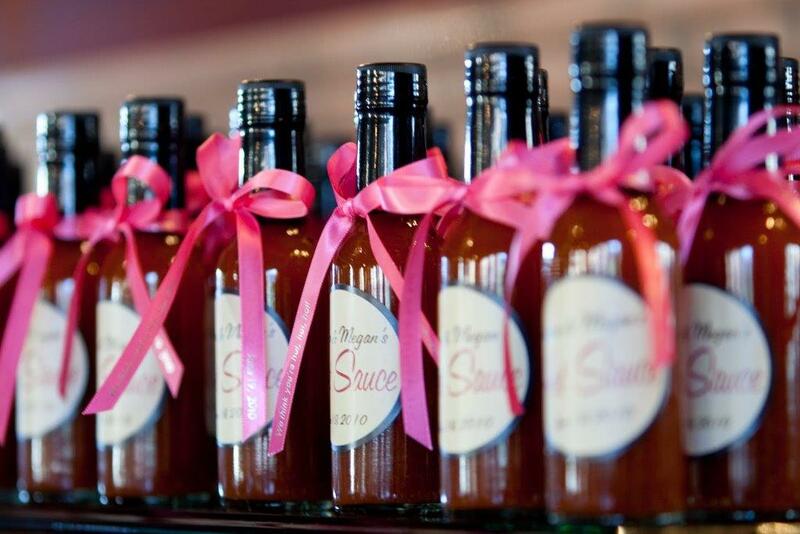 If you know that your friends like hot sauce, have a hot sauce made especially for your wedding. Package it in nice little monogrammed bottles, and send your guests away with a little taste of the spice that keeps your marriage alive. 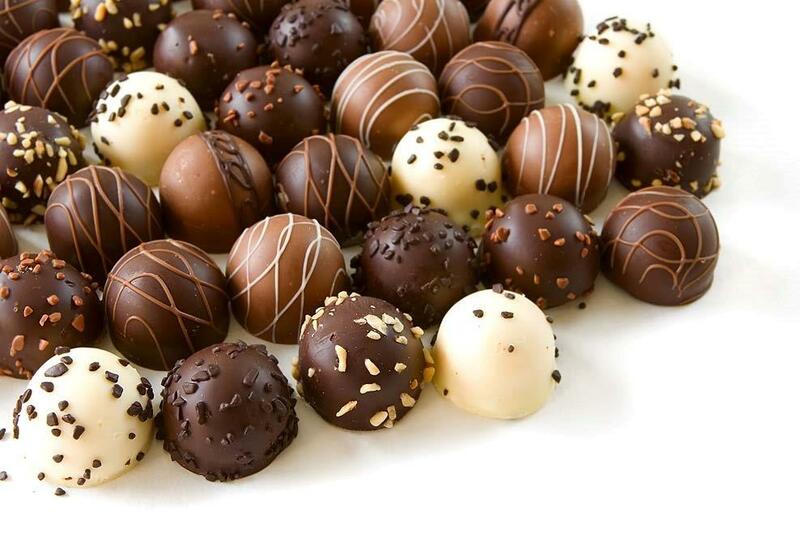 Truffles –– Only choose truffles if you’re willing to spend a hefty sum on your wedding favours. There are few things more elegant than truffles, with their soft chocolate centre and the dusted coating of powdered awesome. Now are you getting some creative ideas for your wedding? Good, because that’s what Red Scooter is all about! Not only are we the most unique wedding venue in Melbourne, but we’re one of the best. Our team of experts is more than able to help you plan the wedding your guests will remember for a long time to come!